A few days ago, Microsoft Research Labs released a major beta update to their free WorldWide Telescope (Windows only). Among its many improvements, the “Autumnal Equinox” release includes a new way of exploring the universe — instead of just zooming in on photographs of the night sky as seen from Earth (as you do with Google Sky), you can now also travel through a 3D model of the Solar System, the stars in our galaxy and out past the furthest observable galaxies and quasars, giving you a fantastic view of the superstructure of the universe. This is the first time that a 3D visualization of the furthest observable objects in the universe has been made so accessible to the casual user, for free. Similar data has been freely available for a while (for Windows, Mac, and Linux) if you know where to look. In this post I’m going to look at the state of these virtual universes, now that Microsoft has entered this application space. Microsoft’s 3D view of the universe most clearly lends comparison to the current open-source favorite, Celestia (for Windows, Mac and Linux). It too simulates the Solar System and nearby stars, and with a bit of effort you can upload a database of around 250,000 galaxies far far away, taken from the Sloan Digital Sky Survey (SDSS). 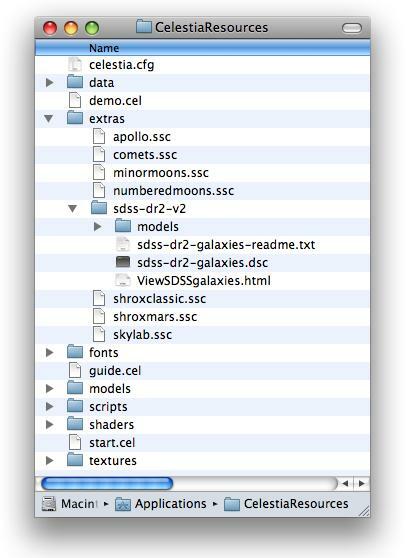 Microsoft says its galaxy database contains half a million objects, but doesn’t name the source. A third free virtual universe worth looking at is Digital Universe, by NYC’s Hayden Planetarium, a massive downloadable dataset that comes with PartiView (for Windows, Mac and Linux), its own (highly quirky) viewer. I most want to compare the view for these three free apps from >1 gigaparsecs out, as this is where it gets to be the most mindblowing, but first let’s look at how WWT and Celestia compare on their respective renditions of the Solar System. WWT beta’s Solar System doesn’t yet eclipse Celestia’s, which is still a much more polished piece of work for this kind of exploration. 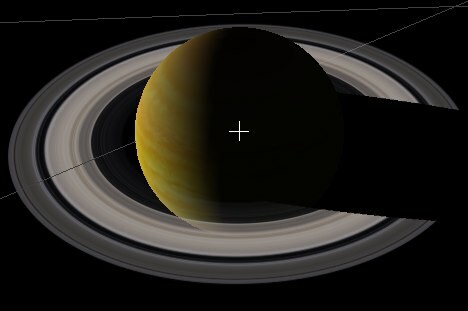 For example, check out the shadows on Saturn; Celestia doesn’t just render the shadow of Saturn on the rings, but of the rings on Saturn, unlike WWT. Then, download the galaxy database in WWT by checking “Cosmos” in the View menu. Half a million galaxies from Stefan Geens on Vimeo. The video doesn’t do the full screen view justice. As you can see, the available data covers several slivers of the sky as seen from Earth. Restart Celestia. Then, not too intuitively, you need to go to Celestia’s Preference/Control panel, and make sure that the checkbox to show “Nebulae” is set, since that is what the dataset characterizes itself as to Celestia. Now Celestia too shows you the furthest observed galaxies, with the added bonus that you can make loop-de-loops through superclusters of galaxies at crazy speeds in your hypothetical spaceship. A third approach is more data-centric. Hayden Planetarium makes its Digital Universe dataset available as a free download, together with a viewer, PartiView. (This dataset is also incorporated in a number of professional planetarium applications, such as Sweden’s SCISS AB’s UniView software. I took a video of a demo of UniView at ISDE5 in 2007). Hayden Planetarium’s PartiView: Lots of galaxies from Stefan Geens on Vimeo. You will need to RTFM to use PartiView, however. To conclude: For navigating the Solar System and nearby stars, Celestia still rules, though bear in mind that WWT is beta. WWT provides the easiest path to getting a sense of the size and the composition of the visible universe (if you have Windows), while for those willing to do the work, PartiView offers the most data and can produce some beautiful results. 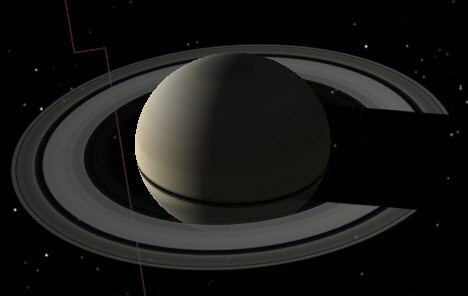 You forgot to mention that WWT seems to render Saturn as a sphere (based on the screenshot) whereas Celestia renders it in its correct oblate spheroid shape. Saturn is the most flattened spheroid planet and the screenshot shows how obvious WWT’s limitation is. is wrong. That is many years I am using partiview and it contained SDSS and 2DF data.